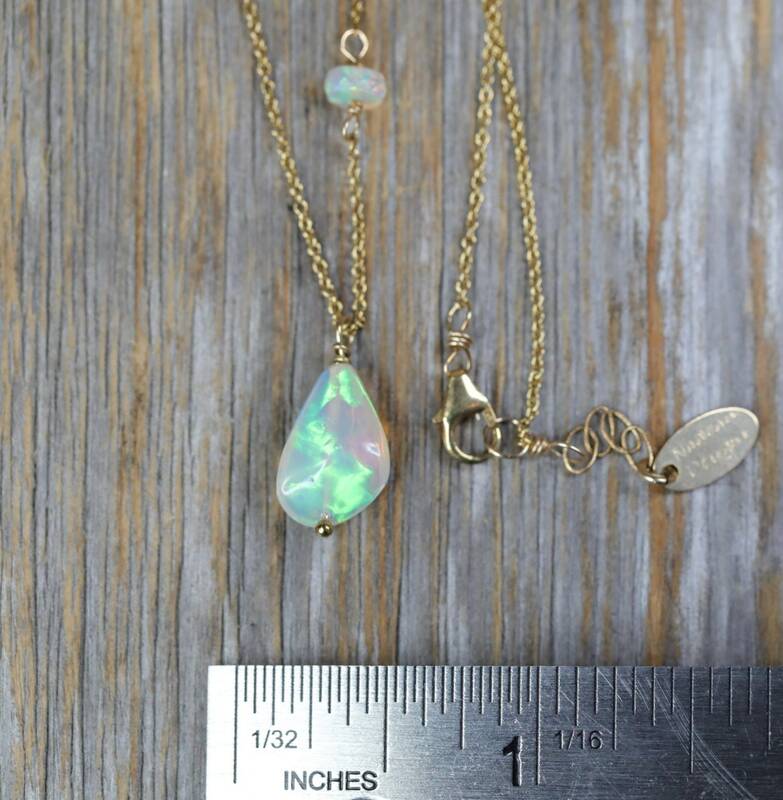 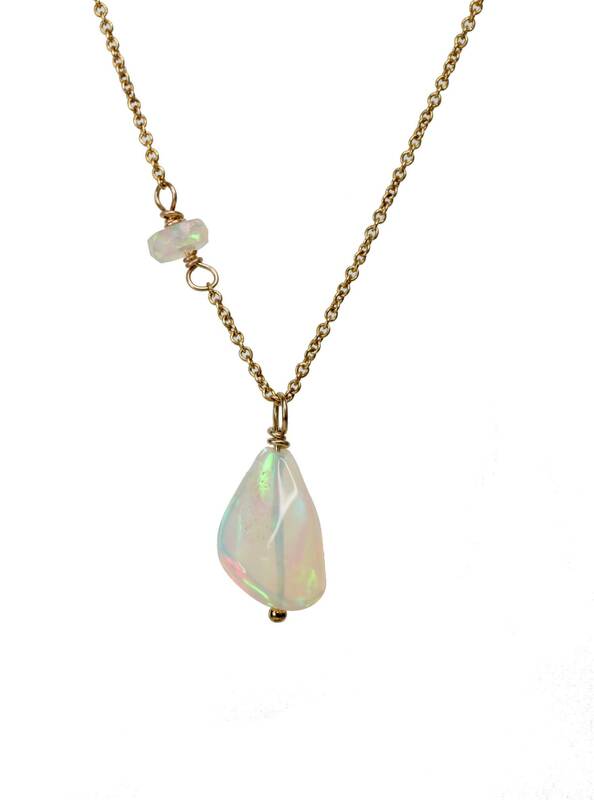 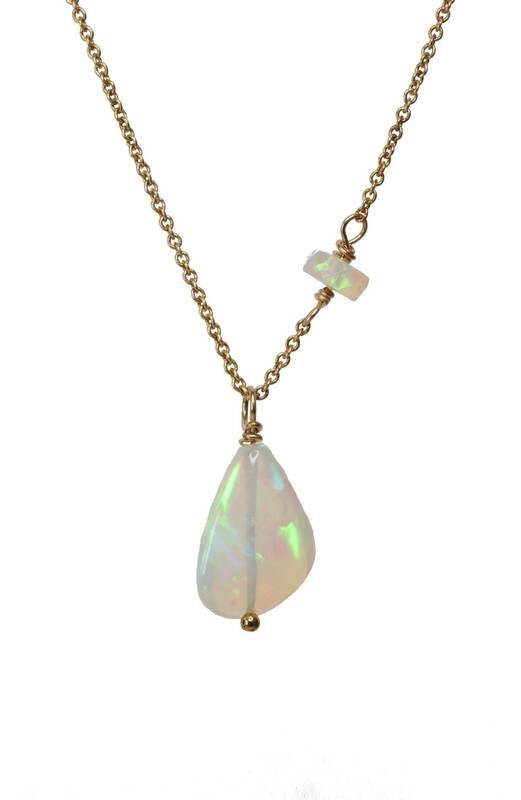 The opal pendant hangs on 14K gold filled cable chain and has an asymmetrical station with a faceted opal . 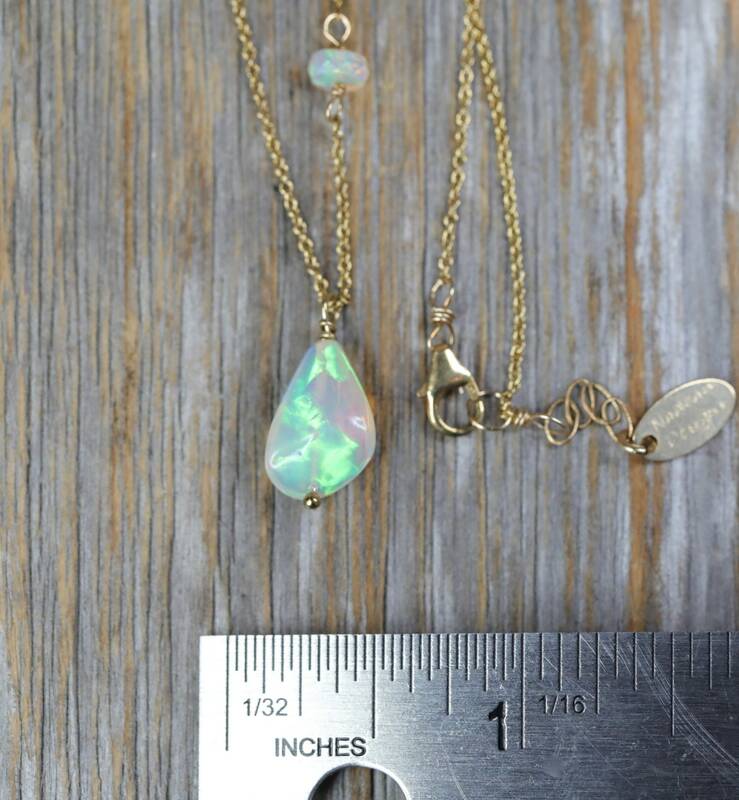 These opals have amazing green and pink color play. 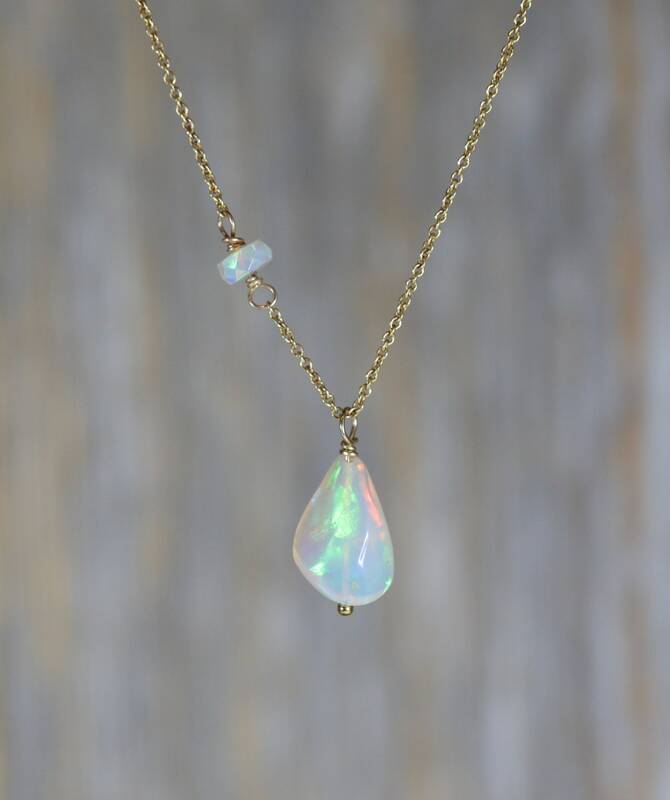 I have photographed this necklace in various lighting and background situations to demonstrate the different color play seen in these gorgeous opals.